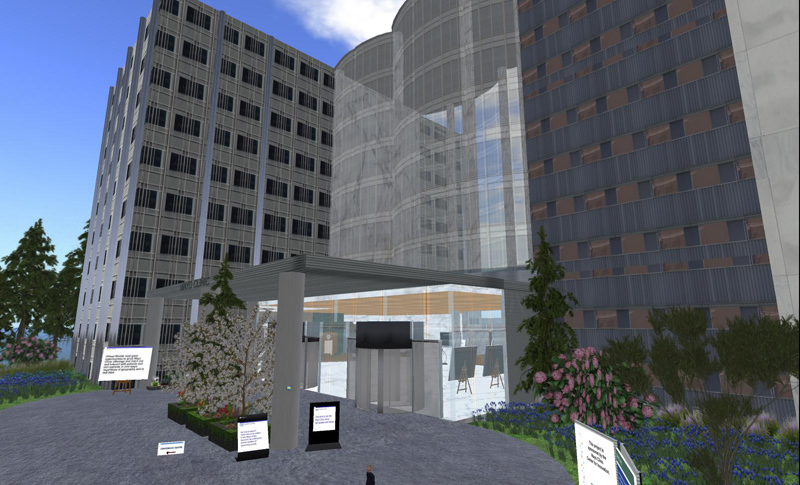 Come and explore the work of the Mayo Clinic in Second Life with Designing Worlds, now on the web and see some of the many ways it is using the grid for a variety of different programs from actualization to education and familiarization. Showing us some of the projects that the Mayo Clinic has undertaken is Brian Kaihoi, known in Second Life as Svea Morane, the Mayo clinic contact who has initiated much of the Mayo Clinic’s presence in virtual worlds. He’ll be explaining the thinking behind many of the designs we see, and explaining how much healthcare can benefit from a virtual presence – both on a professional level for healthcare workers, and on a mutual support level with self-help groups. This show is a fascinating exploration of how healthcare can benefit from – and bring benefit to – virtual worlds! Previous Post: The new issue of Prim Perfect meshes design with shivers for Halloween! Next Post: Prim Perfect’s Halloween Hunt and Quest: Hunt Hints! This is such a good use of SL. I love it when organizations see the usefulness without being part of some “enterprise” initiative from the Lab.